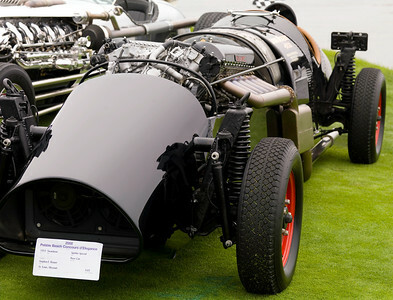 A small row of cars with engines bigger than 20 liters! 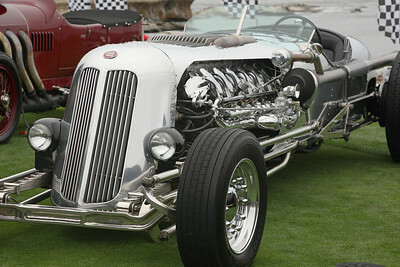 This is Jay Leno's tank car. 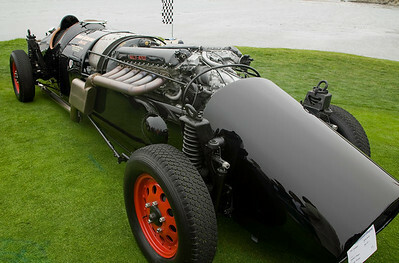 31 liters and 1,600 horsepower! 1953 Swandean owned by Stephen F. Brauer. 1 mile to the gallon! 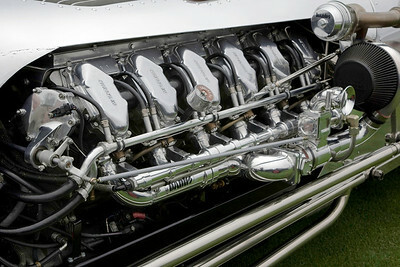 V12. 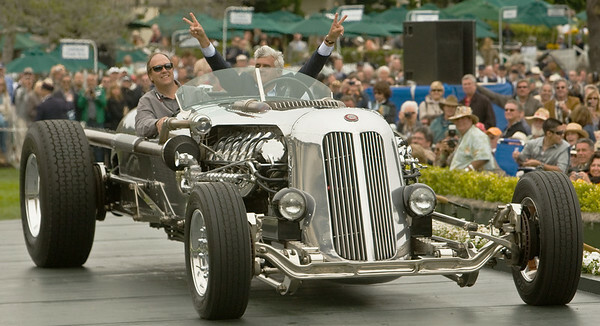 Jay Leno and his tank car driving over the awards podium to show it off. 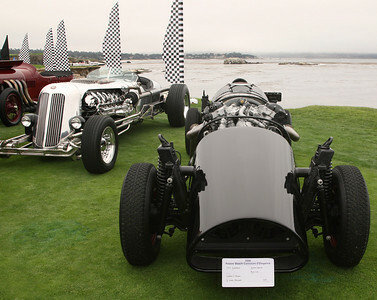 No awards, but it got more attention than any car at the 2008 Pebble Beach Concours d'Elegance.